With more than 30 years experience as a consultant to property development companies, Circa London director Nick Pearce’s expertise is in the high-end residential development sector. With increasingly sophisticated and innovative schemes, he advises on the setting up and running of marketing suites, advertising/marketing and the design of the promotional material both online and in print. He offers specialist consultancy services on the layout, mix, specification, finishes, phasing, and values. He also briefs interior designers on the presentation of the show homes. Crown Reach, Chelsea Harbour, Kensington Green, Kings Chelsea, Montevetro, Albion Riverside, Kensington West, Richmond Bridge, Point West, Charlesworth House, Waldron House, Beverley House, Dorset Mews, Peninsula Heights, City Quays, NEO Bankside, Sailmakers Court, Albion Riverside, Observatory Gardens, Cheyne Terrace, Burlington Gate, Holland Park Villas and 3A Palace Green. 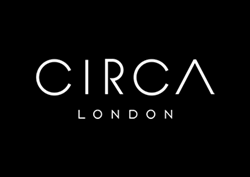 If you are considering buying or developing in London, please contact Nick Pearce: nicholaspearce@circalondon.com or 020 3137 7877.